For over twenty years, Jonathan Lane has been working on licensed Star Trek products as well as on fan productions. He maintains Fan Film Factor, a frequently updated personal blog and one of the few Trek sites that I visit on a regular basis. Fan Film Factor consists of editorials, feature stories, interviews and, of course, lists and reviews of fan films. Star Trek fan films date back as far as to the 1970s. Most of them were made by enthusiasts with very small budgets, and this becomes very obvious when watching them. Jonathan has decided to cherish the efforts of anyone creating a fan film and to leave out any negativity when talking about them. Fan Film Factor is governed by the "Prime Directive": "There is no such thing as a bad fan film." Regarding the official productions and controversial issues such as the Axanar lawsuit, on the other hand, Jonathan Lane is assertive and outspoken. 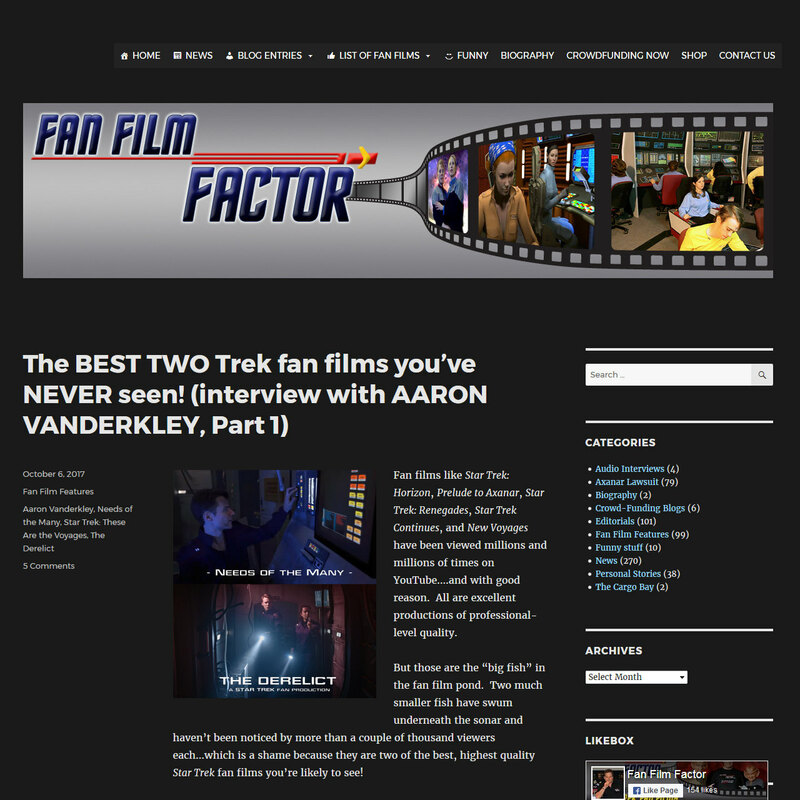 Fans may not agree about everything he writes, but the Star Trek fandom needs independent sites like Fan Film Factor. Jonathan is a strong voice of those fans who want to be more than just customers, who want to be creative. And even more so since he runs Fan Film Factor.